Presentation Overview: Plant breeding innovations like gene-editing and CRISPR hold great promise for supporting Canadian farmers in their drive to sustainably feed the world and grow the economy but bringing new product to market always comes with unique challenges in a global trade environment. This presentation will provide an overview of what these innovations are, what solutions they can provide and what hurdles must be crossed to make them a reality. 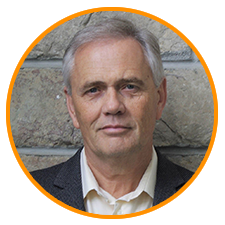 Ian Affleck is the vice-president of plant biotechnology for CropLife Canada. In this role, Ian works with domestic and international agricultural stakeholders and governments on the development of policies, regulations, and science related to plant biotechnology. 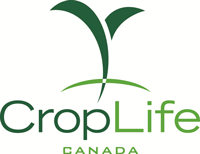 Prior to joining CropLife Canada, Ian worked at the Canadian Food Inspection Agency for 10 years. His work there focused on the regulation of novel plants and new varieties. Ian holds a bachelor of science in agriculture from the Nova Scotia Agricultural College, concentrating on agronomy and pest management. He also holds a master’s degree in agriculture from the University of Guelph, specializing in horticulture and plant breeding. Ian has been involved in agriculture from an early age, having grown up on a potato farm in Bedeque, Prince Edward Island. 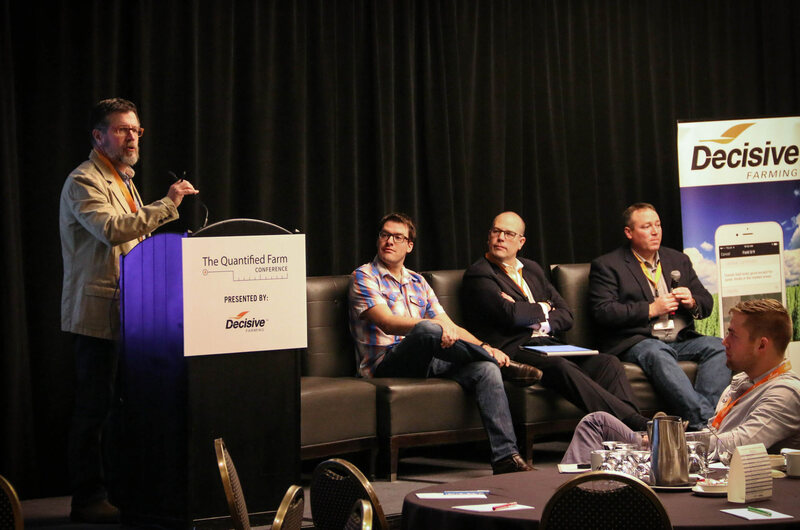 Panel Presentation Title: Can Western Canada be a global leader in plant-based proteins and specialty food ingredients? Panel Presentation Overview: The Protein Industries Canada (PIC) supercluster has been awarded $153 million by Innovation, Science and Economic Development Canada through the Innovation Superclusters Initiative. 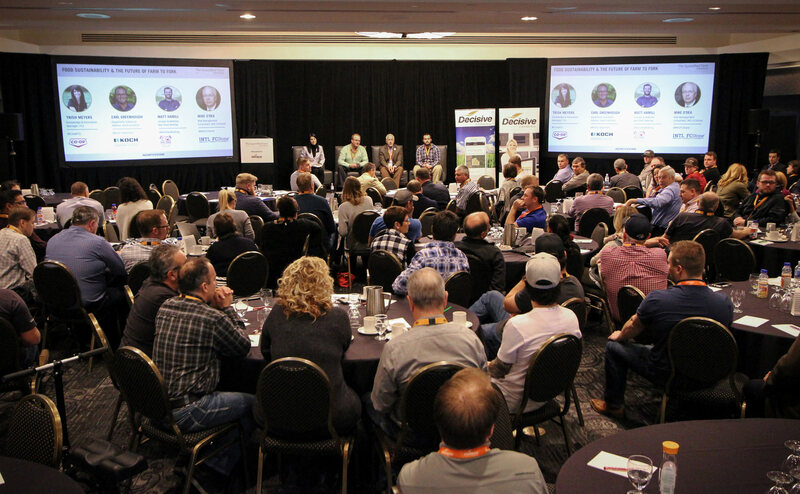 Western Canada is known worldwide for producing a diverse array of high quality, protein crops – what will it take to become a global leader in plant proteins and other value-added ingredients? Allison Ammeter, and her husband of 30 years, Michael, operate a third-generation grain farm near Sylvan Lake, Alberta. The Ammeters crop approximately 1600 acres in a rotation of canola, wheat, barley, fababeans and peas, practicing minimum tillage and using variable rate seeding technology. 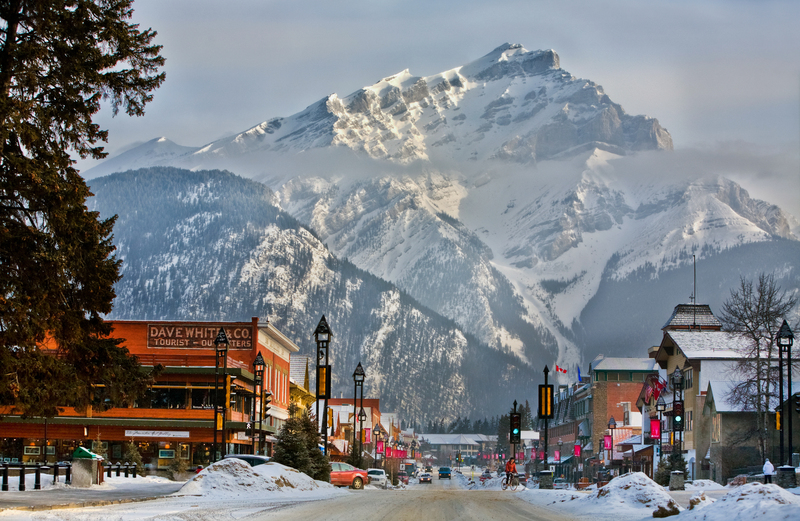 Due to the location close to the Rocky Mountains, the farm experiences an extremely short growing season every year by North American standards. Allison is a director and past-chair of Alberta Pulse Growers, current chair of Pulse Canada. 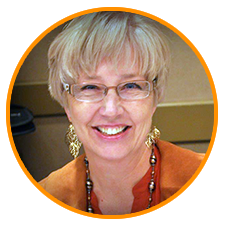 She served as Canadian Chair of the International Year of Pulses 2016 and is currently chair of the Plant Protein Alliance of Alberta. Her goal is to serve the pulse growers and food industry in as many ways as possible, encouraging farmers to GROW MORE PULSES, consumers to EAT MORE PULSES, and the food industry to USE MORE PULSES. 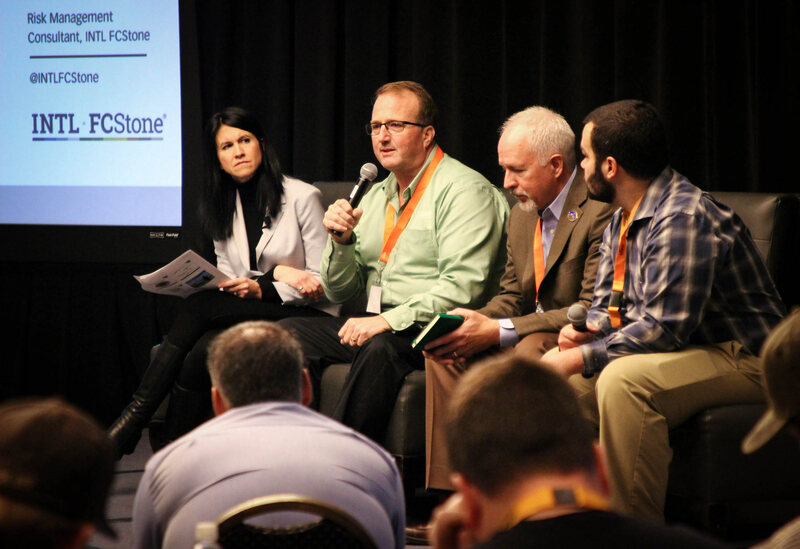 Panel Presentation Overview: In today’s volatile agricultural markets, growers need to become masters at optimizing multiple tools in crop marketing in order to ensure the financial sustainability and profitability of their farm. In this session, we will examine the effectiveness of both data management tools and financial risk management tools available to growers to help maintain the longevity of their farm businesses. 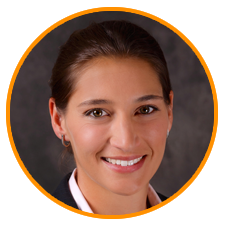 Natalie Benjamin is a professional in price risk management with a Bachelor’s Degree in Commerce from the University of Calgary and a specialty in energy management. She has an expertise in Western Canadian grain and livestock industries and comes from an agricultural family with both grain and livestock exposure. 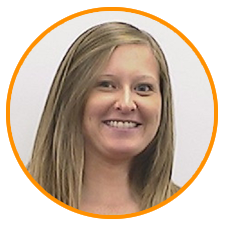 As a key part of the team that supports Know-Risk™, Natalie works with Western Canadian growers covering over 900,000 acres of farmland to create and implement crop marketing strategies. Workshop Presentation Overview: In this presentation we will take a look at how crop nutrition, augmented by information and technology, can drive grower profitability and sustainability through researched agronomic practices, the use of digital tools, and the application of quality nutrients. Growers are able to improve operational efficiency, yield, and quality of crops, all while reducing environmental impact and increasing profitability. Markus Braaten graduated from Montana State University with a BS in Agriculture Education and Biology in 1998. He spent six years as an instructor of Agriculture Sciences and Biology. 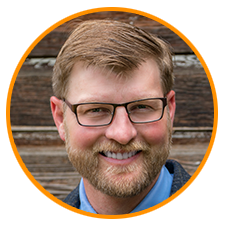 In 2000, Markus returned with his wife and children to their hometown of Kalispell where he continued teaching prior to starting launching a new career in agronomy. Since 2004, Markus has a variety of roles including sales agronomist, independent advisor, agronomy trainer and precision agronomist for CHS, Agri-Trend and Trimble Navigation. He is currently employed by Yara as the North American Canola Crop Manager where he works to bring Yara’s global agronomic expertise, extensive product portfolio and digital tools together to drive grower profitability and sustainability without adding complexity to their operations. Presentation Overview: How to protect your farm and yourself. Mary-Lynn Butler was raised on a dairy farm which her family still owns and operates. She along with her husband and children own a small farm north-east of Calgary where they raise black angus cattle, horses and every other animal they can adopt. Mary-Lynn served over 24 years with the RCMP including the RCMP Musical Ride, and Commercial Crime Unit. 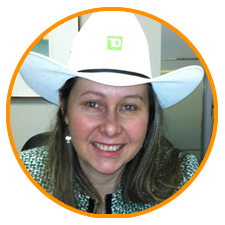 Today, Mary-Lynn manages TD’s Global Security and Investigations Unit for TD Prairie Region investigating primarily in fraud. Presentation Overview: The Canadian agri-food landscape is continuously changing to remain competitive. Disruptions in how Canadian consumers shop and buy food are a constant in today’s fast changing world. Consumers today do not appear to enter the experience looking for a radical new way to shop, but they seem to be influenced by several aspects of their daily lives. Some aspects are obviously more predictable than others, but how will these influence managerial practices in the future? How will a grocery store look like in 25 years from now? As the line between food service and retailing blurs, how will this impact agriculture and farming in general? By examining food cultures and trends more closely, along with technology-driven solutions emerging, Sylvain Charlebois will engage in an open dialogue about the futurology of food systems. 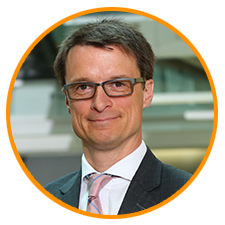 Dr. Sylvain Charlebois is a Professor in food distribution and policy in the Faculties of Management and Agriculture at Dalhousie University in Halifax. He is also the Interim Scientific Director of the Institute of Agri-food Analytics, also located in Halifax. He is as well the former Dean of the Faculty of Management at Dalhousie University. Before joining Dalhousie, he was affiliated with the University of Guelph’s Arrell Food Institute, which he co-founded. While at the University of Guelph, he was also the Associate Dean of Research for the College of Business and Economics. Known as “The Food Professor”, his current research interest lies in the broad area of food distribution, security and safety. He is one of the world’s most cited scholars in food supply chain management, food value chains and traceability. He has authored five books on global food systems, his most recent one published in 2017 by Wiley-Blackwell entitled “Food Safety, Risk Intelligence and Benchmarking”. He has also published over 500 peer-reviewed journal articles in several academic publications. Furthermore, his research has been featured in several newspapers, including The Economist, the New York Times, the Boston Globe, the Wall Street Journal, Washington Post, Foreign Affairs, the Globe & Mail, the National Post and the Toronto Star. 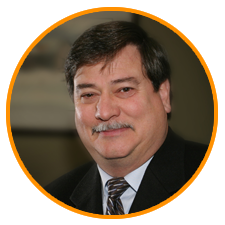 Dr. Charlebois sits on a few company boards, and supports many organizations as a special advisor, including some publicly traded companies. Charlebois is also a member of the Scientific Council of the Business Scientific Institute, based in Luxemburg. He conducts policy analysis, evaluation, and demonstration projects for government agencies and major foundations focusing on agricultural policies and community development both in Canada and in development settings. Dr. Charlebois is a member of the Global Food Traceability Centre’s Advisory Board based in Washington DC, and a member of the National Scientific Committee of the Canadian Food Inspection Agency (CFIA) in Ottawa. He has testified on several occasions before parliamentary committees on food policy-related issues as an expert witness. He has been asked to act as an advisor on food and agricultural policies in many Canadian provinces, in the United States, Brazil, Austria, Italy, France, Belgium, China, Great Britain, Finland and the Netherlands. Presentation Overview: Join CME Group’s Alison Coughlin, as she discusses the latest in international agricultural trade, including implications for the US-Canada relationship in the face of USMCA negotiations and how China has the power to shift commodity flows. The discussion will look at changes to historical trade patterns and where global agriculture can go from here. Profile: Alison Coughlin is a Manager within the Research and Product Development division at CME Group. In this capacity, she designs new futures and options contracts for grains and oilseeds, as well as maintains CME Group’s benchmark agricultural products. Previously, Alison served as an International Trade Analyst for the U.S. International Trade Commission and the Office of the United States Trade Representative in Washington, D.C., where she both led and contributed to several studies on global agricultural trade and competitiveness as well as participated in negotiations on several trade agreements. Alison graduated with a BS in International, Resource, and Consumer Economics from the University of Illinois at Urbana-Champaign and with a Master of Public Policy degree from the Harris School of Public Policy at the University of Chicago. Presentation Overview: Keith may be the most unlikely person to ever be considered as a farmer. From insects to aquaculture, Keith spends his time focused on the more obscure and emerging areas of agriculture. Keith believes that non-conventional, indoor and innovative agriculture offers a healthy part of the solution for meeting the demands to feed a growing population. Profile: Keith Driver, M.Sc., P.Eng., MBA. Keith Driver is a serial entrepreneur in the clean-tech and ag-techs spaces, with experience across North America. He has served in leadership positions in several technology companies over the past 20 years. His experience includes founding, senior marketing, technical and management roles, focused on emerging products and technologies. This has included fish farms, carbon trading, used oil re-refining, cryptocurrency mining, animal feed production, insect larvae for protein production and organic fertilizer production. 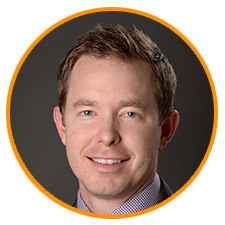 Keith holds two degrees in engineering and an MBA, and has served as a sessional instructor at the University of Calgary and University of Guelph. David Dzisiak is the North America Commercial Director for Grains and Oils for Corteva Agriscience and lives in Calgary Alberta. 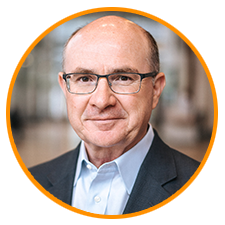 He leads Corteva’s North American Oils and Grains group and is responsible for commercial strategy for a pipeline of novel oilseed and cereal product concepts for feed and food industry applications. He also serves as the Board Chair of the Canola Council of Canada and sits on the board for Protein Industries Canada. Richard Jelinek is Vice President Global Education at INTL FCStone Financial. His primary responsibility is the development of price risk management educational programs and materials on Agricultural Futures, Options and OTC markets. As part of these efforts, he highlights other forms of market exposure including Energy, FX and Interest Rates. 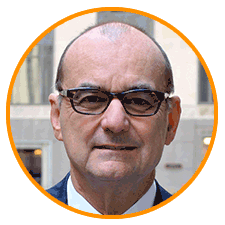 Richard’s professional tenure includes 34 years at the Chicago Board of Trade and CME Group, where he focused on price risk management training in North America, Latin America, Europe, Asia-Pacific, Middle East and North Africa. His commercial hedge audiences include producers, merchandisers, women in agri-business, lenders, food processors, importers, exporters, academics and governments. As part of his passion for teaching, he served as an Adjunct Professor at Moraine Valley College in the English as a Second Language Department. Mr. Jelinek’s Bachelor of Science degree in Agricultural Economics from Southern Illinois University and Master of Science degree in Agricultural Economics from the University of Georgia were preceded by a four-year tour in the United States Navy. Jason Labossiere, Senior Risk Management Consultant at INTL FCStone Financial Inc., is a seasoned expert in grain risk management, with over 25 years of Canadian field experience, including time at both Cargill & AgriTrend where he was the #1 crop marketing specialist in Western Canada three years in a row. 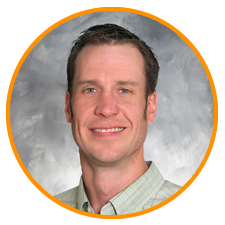 Most recently, Jason served as the Director of Grain Origination for Ceres Grain, interfacing with a customer base of 1200+ growers and handling ~20 million bushels in the 2016-2017 crop year. 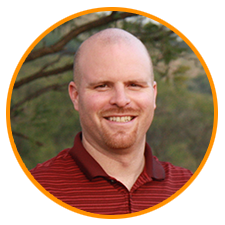 Now as a leader for INTL FCStone’s Know-Risk team, Jason brings his multifaceted and specialty crop marketing expertise to the proactive grower. Presentation Title: 4Rs and Enhanced Efficiency Fertilizers (EEFs); Where is the Fit On Your Farm? Presentation Overview: This discussion will cover 4R protocols, myths and facts, to better help you mange fertility on your farm operation. Adam is a graduate of the University of Guelph. He has spent several years in the ag retail business assisting farm clients. Starting his ag career with Cargill and now is the Strategic Account Manager for Koch Agronomic Services and Koch Fertilizer and covers Alberta. Koch Agronomic Services is responsible for agronomic training and Nitrogen Stabilizers. Adam is based in Camrose Alberta where he resides with his family. Presentation Overview: How precision farming and strategically placed soil amendments have proven with our research, that it is the right thing to do for profitability and overall soil health. Greg was one of the principal founding members of A&L Canada and is currently CEO and acts as the chief agronomist. His primary role is corporate administration, and customer support and service. 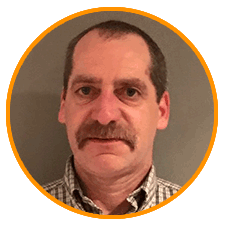 With an honours in agriculture degree from the University of Guelph, followed by over twenty five years post graduate experience as a professional agronomist Greg works closely with all our agricultural clients to support the service we provide. Greg also was one of the first people in Canada to earn the designate as a Certified Crop Consultant. As part of our ongoing customer support Greg personally conducts in depth agronomy and fertility training seminars for field, horticultural and specialty (Turf, Viticulture, and Silviculture) crops. Presentation Overview: Prepare for the future and retain value today. Learn why it is so important to build infrastructure now, to meet the needs of the end user. Consumer expectations are changing, and producers are being required to do things differently. Learn how you can differentiate yourself to get the most value for your commodity. Mike and his wife, Dr. Janette Simon, live in Northeast Iowa where they raised six children. Growing up in the Red River Valley in Minnesota, Mike has been involved with farming his entire life. He is well versed in the industry, spending a decade in manufacturing and 20 years as a Regional Sales manager for Custom Marketing Company Bin Sales with a copyright on Pressure Curing, where they sold a system that dried high moisture corn by using just air. 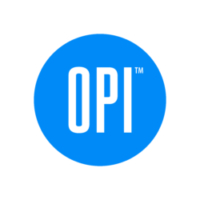 For the last 20 years, Mike has been working with farmers to determine the best OPI system for them and believes this is the most effective grain management monitoring system on the market today. Mike designed and built a specialty Soybean cleaning plant in 2000 and sold his first automated grain monitoring system in 2004. He is now the owner of Simon Sales and .5 Inspections LLC. Having a reputation as an air dry and storage specialist, Mike’s personal goal is to help feed the world with quality grain. 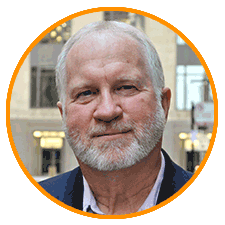 John Snell, Senior Vice President at INTL FCStone Financial Inc. has over 35 years of experience developing and implementing commodity price risk management strategies. After growing up on the family farm in Decatur, IL, John completed his undergraduate degree at the University of Illinois and received a Master of Science degree from Georgia Tech. John founded Risk Management Incorporated (RMI) in 1988 to provide services and products to mitigate price risk in commodity exposure. 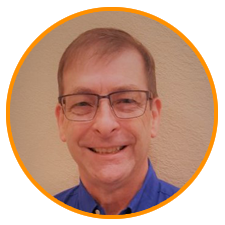 With John’s guidance, RMI built a diverse client base that it still services at FCStone today, including top Fortune 500 food & beverage companies, industrial and commercial manufacturers, utilities and growers in Canada and the US. RMI, which executes approximately $16 billion in commodity contracts for its clients each year, became a wholly owned subsidiary of INTL FCStone Inc. in 2010, a Fortune 500 company. Through its regulated subsidiaries, FCStone is a leading global franchise in agricultural products and provides services in virtually every major agricultural market in the world. 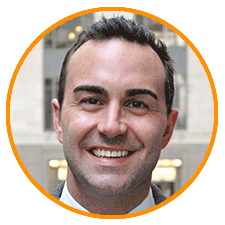 Matt Snell, Senior Risk Manager at INTL FCStone Financial Inc., became part of the Know-Risk team in 2010. 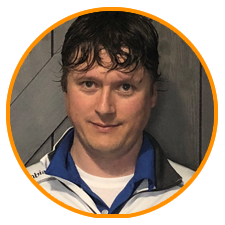 Over the past 8 years, he has serviced approximately 90 growers with crop marketing advisory & software, touching nearly 700,000 acres in Western Canada. His expertise includes managing input costs, marketing strategy development, execution guidance and market analysis. Matt holds a BS from the University of Arizona. Kelly was raised on a mixed farming operation in the Drumheller area. He has worked 19 years with TD Bank leading ag teams in Saskatchewan, Manitoba and currently managing the Alberta South ag team. 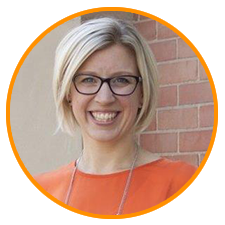 Kelly has a passion for teaching and coaching farm families on cash flow and the importance of understanding past, present and future cash flows to make debt decisions. 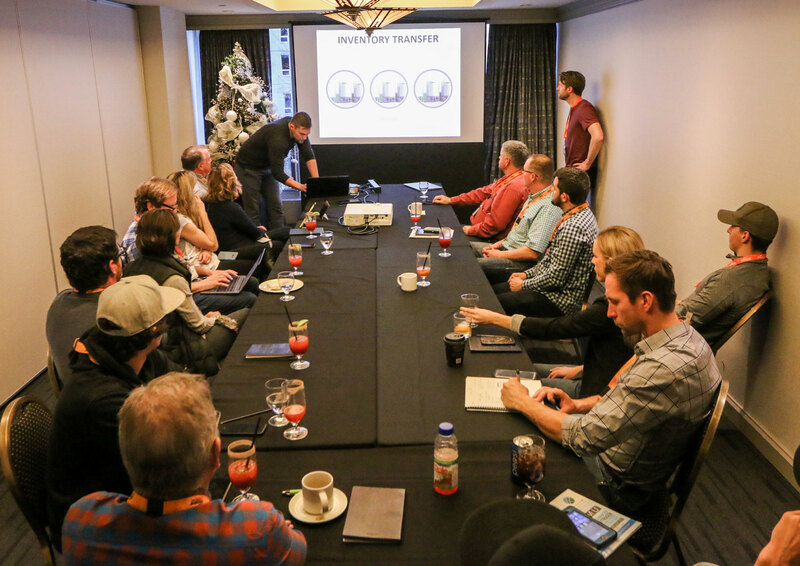 Presentation Overview: Identifying your motivation for farm safety is the key to establishing a safety culture in your operation. Donna will talk about her experiences with farm safety incidents and help identify the game changers for the farm managers who she has coached in farm safety planning. Profile: Donna Trottier is Managing Director with AgSmart, a division of the Tatonga Consulting Group in Alberta, Canada. Donna’s passion for agriculture started on the grain farm where she was raised, near Colonsay, Saskatchewan and she has been continually engaged in the agricultural industry since leaving the farm. 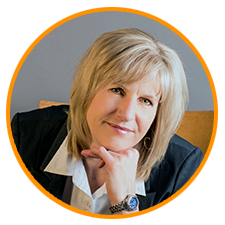 Donna is a Professional Agrologist and holds her Bachelor of Science in Agriculture from the University of Saskatchewan. After university, Donna worked in several agricultural capacities including soil conservationist, livestock research tech, crop input agrologist, sustainable agricultural extension coordinator, appraisal agrologist, agriculture tour coordinator, environmental consultant and freelance agricultural journalist. In recent years Donna has been extensively involved in farm safety management planning projects. She worked with the Canadian Agricultural Safety Association and AgSafe BC, developing agricultural safety tools and training courses. She was involved with the development of commodity-based tools and courses on hazard identification and assessment, farm employee safety orientations modules and farm safety testimonial videos. Donna led the Growing Forward II project in Alberta with the Farm and Ranch Safety Extension Grant Working Group, establishing tools and resources for farm safety management planning for both the crop and livestock sectors. Donna was involved in setting the groundwork for the establishment of the industry-led farm safety association in Alberta, and is the current Program Director for AgSafe Alberta Society. Donna has delivered farm safety workshops, presentations and works one on one with producers to incorporate right-sized, practical safety management programs into the daily operations on the farm. Bob Tyler is a professor in the College of Agriculture and Bioresources at the University of Saskatchewan. His academic background is in agricultural chemistry and food/grain science. He joined the University in 1990 after ten years at the National Research Council of Canada, and has served the institution in many capacities, including as Department Head, Associate Dean (Academic), Associate Dean (Research), Acting Dean, Managing Director of the Global Institute for Food Security, Food Processing Chair at the Saskatchewan Food Industry Development Centre, and member or chair of several standing committees of the University of Saskatchewan Faculty Council. He currently serves as the University of Saskatchewan liaison to the Protein Industries Supercluster. His areas of research include crop quality and utilization and product development, with emphasis on processing of pea and other pulse crops and with particular interest in international development, food security, capacity building and technology transfer. His teaching responsibilities have included introductory agricultural science, food processing, food additives and toxicants, food analysis, and grain chemistry and technology. In 1994-95, Dr. Tyler served as Manager of Processing Research for Saskatchewan Wheat Pool Research and Development while on leave from the University. He currently chairs the Saskatchewan Agri-Food Council on behalf of the Ministry of Agriculture, is chair of Ag-West Bio Inc., and is past-president of the Saskatchewan Institute of Agrologists and the Saskatchewan Agricultural Graduates’ Association. He is a member of the American Association of Cereal Chemists International, the Institute of Food Technologists, the American Oil Chemists’ Society and the American Chemical Society. Presentation Overview: So many issues in business, and in life, are a result of miscommunication. There are a number of strategies that can be used to help better manage interactions with customers, staff and suppliers. This talk will provide you with tools to better strategize your communication to get the best results possible. Profile: A dynamic and dedicated community leader, Tara Williams uses her ability to see others’ assets to connect and create community impact. With a Master’s of Science focusing on creating innovation and a Bachelor of Commerce in Marketing and Biotechnology Management, Tara teaches business and communications at Medicine Hat College. Her passion lies in integrating business and academic activities with community development. If you are interested in sponsoring this event please contact Erin at 403-461-2063 or erin@decisivefarming.com.